This recipe is a follow up of my post Vegan Burgers Without a Recipe. In this burger recipe I am doing exactly what I talked about in my last post; cleaning out my refrigerator. I had leftover Millet, Quinoa, and cooked beans. I threw them all in the food processor with some spices and look what happened!! 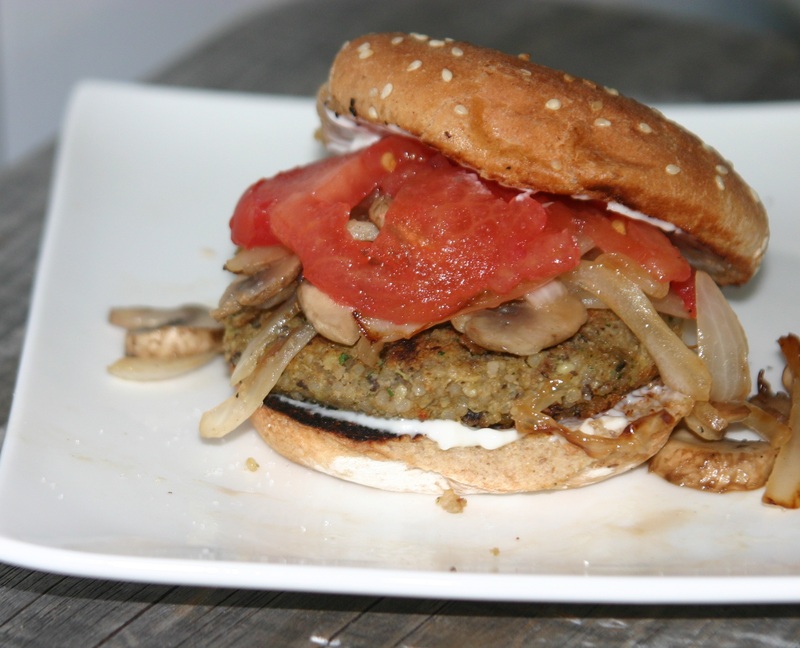 I made delicious, vegan, gluten free burgers in just a few minutes. In this recipe the grains are the star and I am using the beans as a binder to hold the whole delightful mess together. Place cooked beans and the cilantro in the bowl of a food processor and process briefly until cilantro is minced and combined with the beans. Add the millet, quinoa, and spices pulsing to combine. Taste the batter and adjust seasonings to your liking. Once the burger batter is to your liking, form into patties. Heat olive oil in a heavy skillet over medium-high heat. Add formed patties to hot oil and cook until crispy and browned, about 3-4 minutes, flip and cook second side until crispy and browned on the second side, another 3-4 minutes. Serve with toppings of choice on a lightly grilled bun.